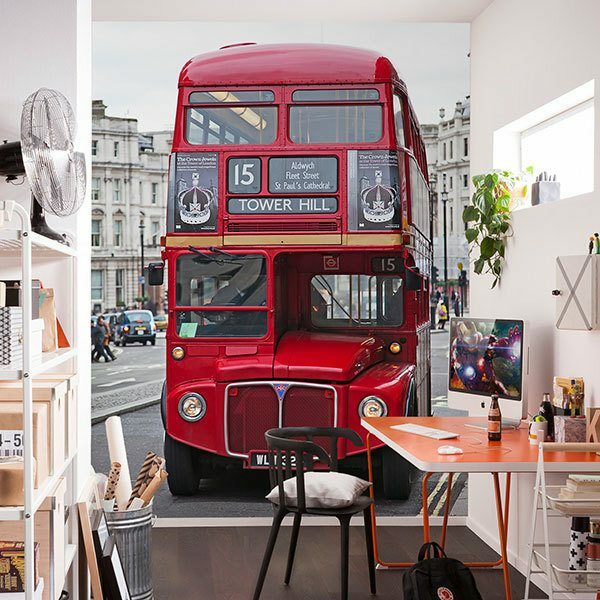 Wall mural Routemaster Bus - Tower Hill. 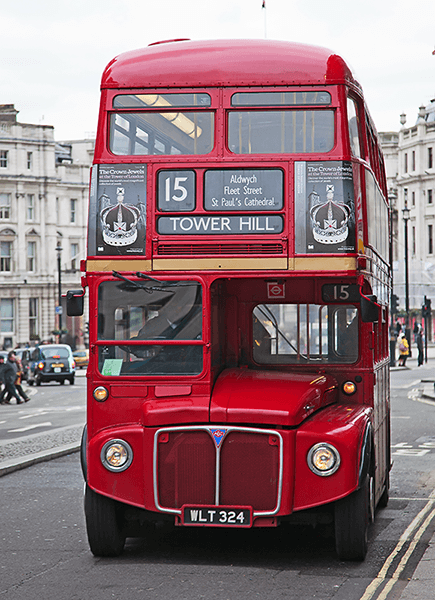 Photograph of one of the last classic double-decker buses, covering London line 15, between Tower Hill and Trafalgar Square. Its sightseeing tour includes the Tower of London, London's Great Fire Memorial and St Paul's Cathedral. Size: 35 x 39 cm.